Worried about flu symptoms like these? As winter approaches, most of us are. But this year, the flu seems even more alarming, thanks to increased health concerns about the H1N1 influenza strain, also known as the swine flu. Even though this strain doesn’t appear to be particularly threatening, it has the potential to mutate into a more dangerous form. The main question my patients have been asking is whether they should get vaccinated against H1N1 or against the regular flu. This is not a simple yes or no answer. The guiding principle of functional medicine is personalized care, not the one-size-fits-all belief that everyone should have the same treatment. This applies equally to vaccines. There is risk and benefit to every medical treatment or procedure. That is why in today’s blog I want to review what you need to consider if you are thinking about vaccination, discuss some of the risks involved, and provide you with a comprehensive 7-step plan for preventing swine flu and staying healthy all winter long. • The current strain of H1N1 is a generally mild strain of the flu. It sounds scarier, but, so far, fewer people have actually died from it than from the traditional flu. It may mutate but it hasn’t yet. Pushing widespread vaccination on low-risk populations exposes them to unnecessary risks. • If the H1N1 mutates, the current vaccine may not be effective against it. • The studies on the H1N1 vaccine have been limited in the rush to market. • The 1976 swine flu vaccine was linked to a serious neurological disease called Guillain-Barré syndrome, which causes severe (but usually temporary) paralysis. • The government has agreed to protect vaccine manufacturers from any lawsuits due to side effects of the vaccine, otherwise pharmaceutical companies would not make it. When federal authorities raided BALCO six years ago, investigators found the San Francisco Bay Area firm had supplied performance-enhancing drugs to a select roster of elite athletes. The Senate Judiciary Subcommittee on Crime and Drugs will explore the availability of banned substances — including those developed for BALCO — at health food stores in a hearing this afternoon. The subcommittee is focusing on products that contain steroids or steroid precursors that are marketed as supplements, which make up a fraction of the $24 billion food supplement industry in the USA. The hearing was called by subcommittee chairman Sen. Arlen Specter, D-Pa., a fan of the Philadelphia Phillies, a team that went without reliever J.C. Romero for 50 games this season after he tested positive for a banned substance linked to a testosterone-boosting supplement. Tygart said legislation may be needed to close loopholes that allow products to go on the market without approval by the Food and Drug Administration. Richard Kingham, a Washington-based lawyer who is also scheduled to testify, said consumers can be protected if the FDA and the Drug Enforcement Administration are given the resources to enforce the laws on the books now. “This is a law enforcement issue,” said Kingham, whose area of concentration is food and drug law. Kingham said last week’s raid of supplement dealer Bodybuilding.com is a prime example. Over the last two years, 23 of 31 supplements purchased by FDA investigators from Bodybuilding.com contained anabolic steroids, according to a search warrant unsealed when the company’s headquarters in Boise, was searched on Thursday. Amanda Cheslock, spokeswoman for Bodybuilding.com, said the website does not manufacture the products and is cooperating with the investigation. “We’re glad the Congress is looking into this, because anything we can do to separate the legal, safe and healthy dietary supplement industry from the seedy, fly-by-night and unsafe world of illegal steroids is worthwhile,” said Daniel Fabricant, interim executive director and CEO of the National Nutritional Foods Association. Fabricant will testify in front of the subcommittee. Arnica montana is one of the most valuable homeopathic remedies. Also known as Leopard’s bane, this member of the Compositae—or Sunflower —family is used as a specific to reduce bruising and swelling, particularly after physical traumas such as falls or blows. It can be applied in a cream, gel, salve, or tincture, or taken internally. Used by Native American and Europeans for centuries, Arnica was first described in the sixteenth century by the naturalist Tabernae Montanus, for whom it is named. The plant grows in the mountains in Europe and Siberia, where the grazing goats and oxen eat it. The yellow flowers, which are the medicinal part of the plant, are two to three inches in diameter and look similar to a daisy, hence its name Mountain Daisy. Because Arnica requires specific soil conditions, it has proved difficult to cultivate and the natural supply has become endangered. Arnica is a wonder drug for treating trauma. It can be used to aid injuries from accidents and hemorrhages, both internal and external. Arnica can be given to treat the acute and chronic effects of injuries, but its main area of effect is for shock and trauma. It offers quick relief of concussions and contusions, aiding in the reabsorption of blood from injured tissues. Inflammation is a reaction caused by damaged cells. It produces chemicals that cause tissue to swell and dilate. This reaction allows more blood to reach the effected area, to bring nutrients and oxygen to speed healing. This is a healthy reaction, but in times of great trauma, the increase in pressure caused by the swelling can be damaging in itself, for example in head injuries. And when the inflammatory process is continual, as in chronic disease, the swelling begins to deteriorate the tissue because of the continued overheating caused by the inflammation. At the end of 2007, the U.S. dietary supplement industry recorded sales of $23.7 billion, according to Nutrition Business Journal. With roughly 33,000 dietary supplements on the U.S. market, it’s no surprise that with today’s nutritionally challenged diet there were 192 million Americans using supplements in 2007, a number that is expected to keep growing. In addition to wanting to provide a basic nutritional “insurance policy” offered by a multivitamin, people take nutritional supplements for a variety of health-promoting reasons. In a 2000 survey conducted by Yankelovich Partners and commissioned by the Natural Products Association (NPA), seven out of 10 Americans take supplements because they make them feel better. With the December 22nd, 2006, enactment of the Dietary Supplement and Nonprescription Drug Consumer Protection Act (often called the Serious Adverse Event Reporting [SAER] Law) and the August 24, 2007 implementation of the final rule on Current Good Manufacturing Practices (often called the cGMPs of federal GMPs, 21 CFR Part 111) — along with complementary and innovative industry self-regulatory programs—consumers have arguably never been better protected. Not so, says a new report from the U.S. Government Accountability Office (GAO), entitled Dietary Supplements: FDA Should Take Further Actions to Improve Oversight and Consumer Understanding. 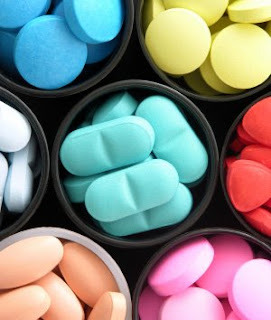 “I am troubled that the FDA lacks the basic information necessary to protect consumers from unsafe dietary supplements […] The FDA clearly needs more resources to give consumers real protection,” announced Rep. Henry A. Waxman (D-CA) upon release of the report. The SAER Law already well protects consumers and has already demonstrated its ability to provide a signal to the FDA for action. The number of serious adverse event reports is in the hundreds, as compared to the hundreds of thousands of deaths and millions of serious adverse events for drugs and foods. Why then would the GAO report require the reporting of all dietary supplement adverse events when this is not required for foods or drugs? This simply does not make any sense. Finally, to top it off, did you know that the GAO, in fact, works for Congress? 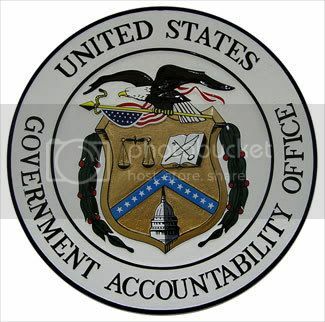 The head of GAO, the Comptroller General of the United States, is appointed to a 15-year term by the President from a slate of candidates Congress proposes, so clearly its reports are developed to provide support for agenda-driven “requests” from Senators and members of Congress, including the ones who requested this report. Ergo, it’s not always, or necessarily, the independent watchdog it’s often thought to be. Gormley Take-Away: Lawmakers grandstanding and the GAO report notwithstanding, dietary supplements are by far much safer than foods and drugs. What happened to the facts? 1. 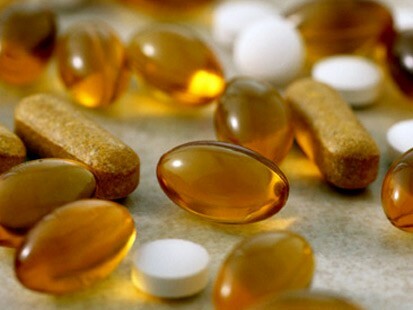 Some have stated that the dietary supplement industry is largely “unregulated”. My response: This is not really a fair statement considering that recent regulatory efforts – supported by that same industry – have clamped down on the industry’s freedom to operate outside the regulatory system. Drug and dietary supplement regulation are becoming more and more similar, though the safety records of the two types of products are remarkably distinct. The dietary supplement industry is now largely regulated, with more and more regulations closing the gaps. Indeed, the industry strongly supported the law to ban steroid precursors from being sold as dietary supplements, making all such products illegal drugs. And the 2006 passage of a law to require all serious adverse events to be reported to MedWatch within 3 weeks – now in effect – is an appropriate method of monitoring safety and determining problem areas needing increased monitoring or official action; though we should not confuse raw AERs with actual evidence of causes-and-effects. The implementation of the long-delayed current good manufacturing practices (cGMP) regulations (that were actually authorized by the oft-maligned DSHEA law in 1994) now requires all supplement manufacturers to be cGMP compliant over the next two years, but with the largest manufacturers required to follow that standard no later than this coming June (2008). cGMP regulations are forcing manufacturers to have quality controls on raw materials and finished goods throughout the manufacturing process, including identity and safety testing. The FDA already prohibits all adulterated products, and has in fact used its authority to act against known offenders, as noted by the agency itself. 2. There are claims that “the Institute of Medicine and the Food and Drug Administration have found that supplement health claims are largely unsupported”. Once again, a widely distributed article has savagely attacked the safety and efficacy of natural products; including vitamins, minerals, and herbs. That this article may be more commentary than journalism is immediately revealed by the author inexplicably linking energy medicine (with admitted health benefits for patients) with a concocted image of “shooing evil spirits”, even when performed by technicians in a top trauma hospital. The ignorance of journalists and medical experts is exposed when they claim that natural products are intended as cures and treatments. These products are actually prohibited by law from claiming this; allowed only documented claims to support healthy body structures and functions. Ironically, this is the same law – the Dietary Supplement Health and Education Act, DSHEA – that is falsely mischaracterized as “deregulation” of the industry. In fact, this law prohibits new ingredients without FDA pre-approval; empowers the agency to regulate manufacturing, advertising, and label claims; prohibits unsafe, adulterated, and mislabeled products; and even allows banning a product based on only theoretical risks. A recent companion law requires all serious adverse events be reported to the FDA; generating far fewer reports than expected. The erroneous assumption that dietary supplements should be considered as potential treatments or cures has resulted in many negative reports. One problem is that some medical researchers, perhaps too used to drug studies using novel substances, sometimes base reports mainly on supplementation levels but fail to properly understand or explain other relevant variables such as dietary intake and relationships to other nutrients that affect body levels and functions of the targeted nutrient. The synergies of natural substances in the diet are complex and interactive, but many researchers design simplistic studies that generate incomplete or misleading data; often leading to dramatic conclusions that the pharmaceutical advertising-dependent press eats up. A press that fails to investigate and present all of the relevant facts and perspectives in a sensational negative report may be accused of laziness, if not bias. Rigorous studies refuting negative reports about the safety of vitamin E, beta-carotene, herbs, the use of supplements with cancer treatments, and drug-nutrient interactions have been noticeably absent from the same media that eagerly broadcasts reports attacking nature’s own nourishing substances. Sadly, there is no matching eagerness to set the record straight. Let’s keep this in perspective. We have all seen drugs pulled from the market because of unforeseen safety issues, medical schools and authors of articles published in peer-reviewed journals accused of being on the take from pharmaceutical companies, contaminated drugs as well as hundreds of thousands of deaths and millions of hospitalizations caused by pharmaceutical side effects each year. Foods cause hundreds of deaths and millions of illnesses annually. Compare this to dietary supplement safety, where proven deaths are extremely rare. Supplement users believe in the healing power of nature, at odds with the often unproven treatments of conventional medicine. The goal of Integrative Medicine is putting aside traditional institutional medical bias to allow science to dictate the comprehensive treatment of an individual patient, including quality of life issues. Many millions of Americans choose to use natural products in order to protect and improve their own health and vitality. Reasonable people will reject these sensational assaults on natural health (including dietary supplements), recognizing that conventional medicine sometimes fails without a little help from Mother Nature. Like most herbs, there are two sides to oregano: the culinary and the medicinal. For centuries people have used plants and herbs of all sorts for their apparent health giving qualities. How convenient that something so healthy can also add so much flavor to our daily diets. To explore the two sides of oregano, we’ve enlisted the help of Brenda Hyde, editor of SeedsOfKnowledge.com, a website dedicated to creating and sharing family memories, and Lucinda Jenkins, editor of GlenbrookFarm.com, a comprehensive herbal website. We’ve filled this article out with some recipes from right here at FabulousFoods.com, so you can experiment with the distinctive flavor of oregano yourself. Find them in the related recipes section below. Oregano is an herb everyone is familiar with in some form or another. It’s an easy to grow perennial with some controversy surrounding it. I was told long ago that true oregano has white flowers, but many times we end up with a plant that has pinkish flowers. This is actually wild marjoram. I have two large oregano plants that are probably not true oregano but sure do work well in all recipes, vinegars and the flowers are wonderful dried and used on wreaths. To be sure of what you are getting talk to someone at your garden center that understands the difference. Oregano can be used fresh with sautéed zucchini and onions, or is a welcome addition along with cilantro to black beans. For a simple elegant appetizer, carefully grill thick slices of provolone cheese that have been sprinkled with oregano. When the cheese is warmed and starts to melt spread on crusty fresh bread with a butter knife. Add oregano to your fresh salsa recipes, or any Mexican dishes as well as Italian recipes. The leaves can be dried on the stem and crumbled into jars, or frozen in individual bags, then used as fresh. Heard the spicy news about oregano? There is a lot of research going on right now with this common kitchen cupboard herb. It seems to be able to land a knock punch to free radicals those awful compounds in our body that cause us to age and get sick. In a recent study sited by James Duke in his book the Green Pharmacy, Oregano a member of the mint family out ranked over 100 mint family herbs in delivering rosmarinic acid. So not only is oregano tea good for helping to heal from a cold ,it is helpful with arthritis. I read a comment on the internet that Oregano essential oil is strong enough to treat sewage, meaning it could kills all the nasty bacteria in sewage. I can’t back that up but thought it was an “interesting” claim. Oregano is currently being studied by the Delaware State Univerisity with federally funded dollars, which means there is something to the powerful claims made by Scientist W H Martindale in 1910, documented that the essential oil of oregano is the most powerful plant-derived antiseptic known. He showed it was 26 times more active as an antiseptic than phenol (a powerful disinfectant). WakeupWalmart.com supports the use of generic prescription drugs as a safe alternative to expensive, name-brand medications. Walmart’s use of a corporate bad actor to cut costs, however, deserves significant scrutiny. Walmart is heavily promoting a program of 30-day supplies of generic drugs for $4, pointing to the program as an indicator of the company’s leadership on making healthcare more affordable. To profit on $4 dollar prescriptions, Walmart is importing drugs from foreign countries, including India. Walmart competitor Costco went a different direction in late 2006, when it ended its $4 dollar prescription drug plan because it was losing money selling prescription drugs at such a low price. Costco switched to selling 100 pills for $10. One of Walmart’s Indian drug suppliers, Ranbaxy Laboratories, LTD, has been repeatedly investigated by the Food and Drug Administration and the Department of Justice for “inadequate” safeguards against contamination, falsification of records and submitting false information to the FDA. Eight months before the FDA inspected Ranbaxy’s Paonta Sahib plant and found significant violations, Walmart awarded the company a “Supplier Award” for improving shipping times and performance. In 2008, the FDA banned importation of drugs manufactured at two of Ranbaxy’s plants, and in 2009, the FDA halted review of applications to import drugs manufactured at the Paonta Sahib plant. Soon thereafter, Canada followed suit and banned importation of drugs manufactured at that facility. Yet Walmart still imports generic drugs made by Ranbaxy at its other Indian facilities.